Some of the most creative new minds in the kitchen and the most exhilarating new voices in food writing come from the world of blogs. Michael Natkin, creator of the wildly popular Herbivoracious.com, indisputably fits both of those descriptions. In Herbivoracious: A Vegetarian Cookbook for People Who Love to Eat, Natkin offers up 150 exciting recipes (most of which have not appeared on his blog) notable both for their big, bold, bright flavors and for their beautiful looks on the plate, the latter apparent in more than 80 four-color photos that grace the book. This is sophisticated, grown-up meatless cooking, the kind you can serve to company - even when your guests are dedicated meat-eaters.An indefatigable explorer of global cuisines, with particular interests in the Mediterranean and the Middle East and in East and Southeast Asia, Natkin has crafted, through years of experimenting in his kitchen and in loads of intensive give-and-take with his blog readers, dishes that truly are revelations in taste, texture, aroma, and presentation. A third of the book is taken up with hearty main courses, ranging from a robust Caribbean Lentil-Stuffed Flatbread across the Atlantic to a comforting Sicilian Spaghetti with Pan-Roasted Cauliflower and around the Cape of Good Hope to a delectable Sichuan Dry-Fried Green Beans and Tofu. An abundance of soups, salads, sauces and condiments, sides, appetizers and small plates, desserts, and breakfasts round out the recipes.Natkin, a vegetarian himself, provides lots of advice on how to craft vegetarian meals that amply deliver protein and other nutrients, and the imaginative menus he presents deliver balanced and complementary flavors, in surprising and utterly pleasing ways. The many dozens of vegan and gluten-free recipes are clearly noted, too, and an introductory chapter lays out the simple steps readers can take to outfit a globally inspired pantry of seasonings and sauces that make meatless food come alive. 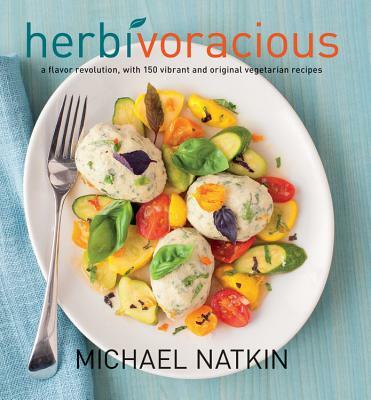 Michael Natkin is the author of the immensely popular and award-winning vegetarian blog, Herbivoracious. He's known in the blogging community as a crack photographer, and his photos are reguarly featured on Tastespotting, foodgawker, and other sites. He lives in Seattle. "Michael Natkin has a talent for enticing and boldly flavored creations, in recipes that are colorful, thoughtful, and fresh!" "If we had to choose one book to cook from in 2012, this would be it."